"My last refuge, my books: simple pleasures, like finding wild onions by the side of the road, or requited love." August: Osage County is one of those movies I only really wanted to watch once in my life, but wound up watching twice. I saw it when it was first released on DVD. A tragic and heart-wrenching story with moments of humor that soon turned to disgust. The one character that I would have liked to see more of was the one that departed the screen early. I did think that the whole cast was pretty amazing and they played their parts to a T.
The supporting characters like aunt, uncle, cousin, child, housekeeper, and significant others are all just as important, semi-likeable or repulsive, as well. I watched it for the second time because it was this month's Food 'n Flix pick. Going in with "foodie eyes" this time, and since I knew what to expect story-wise, and I'm actually glad I was prompted to watch it again. 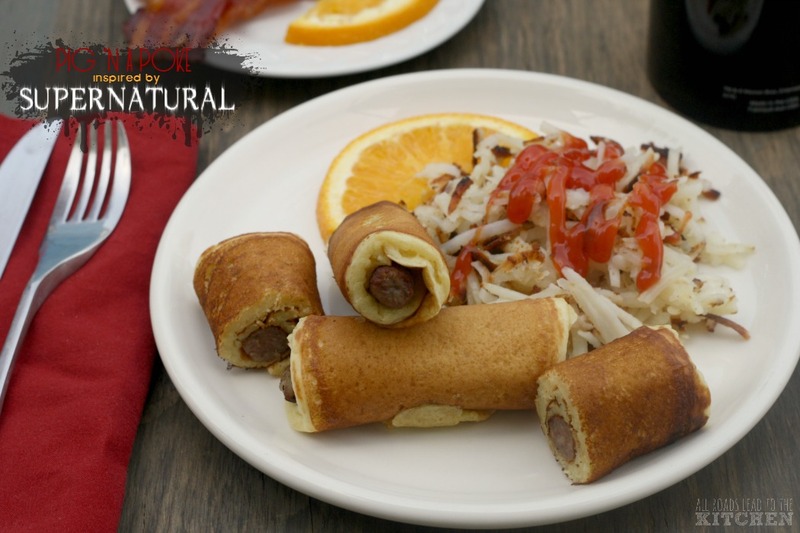 It's definitely not what would be considered a foodie movie, but there was plenty of inspiration for the taking. There were plenty of alcohol references—whiskey, beer, rum, and "California Merlots", whiskey being the most prominent. Most of the food references stemmed from the Native American housekeeper and cook extraordinaire, Johnna, that Bev hired just before he disappeared. There was Biscuits and Gravy, a big sweaty pitcher of Iced Tea with Mint, a funeral dinner that consisted of chicken, potatoes, gravy, salad, rolls, and various casseroles. There was talk of vegetarianism and cheeseburgers. And there was pie. 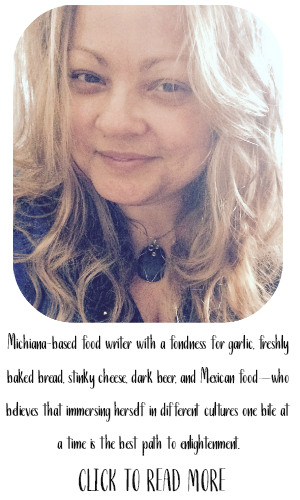 "She may be an Indian, but she makes the best goddamn apple pie I ever ate." That was enough to plant a (n apple) seed in my head. 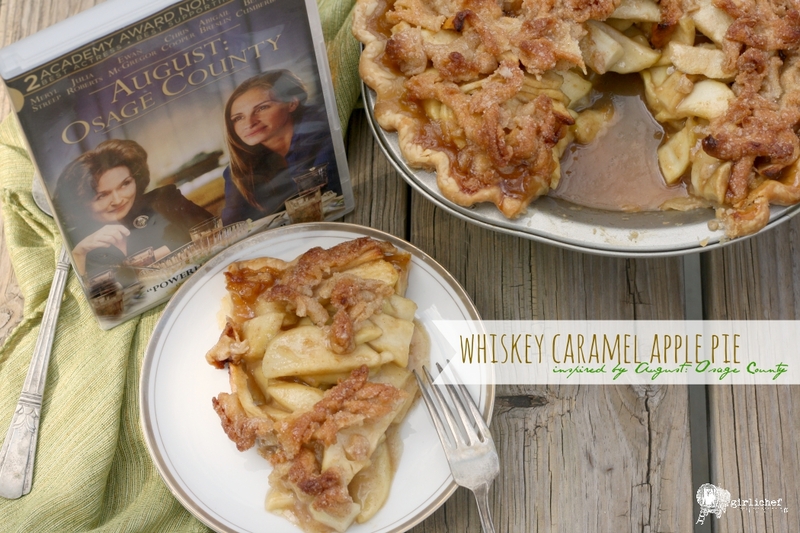 I also decided to infuse it with a little whiskey, as a nod to its many appearances in the film, by reducing some Apple Pie Whiskey (liqueur) with sugar until it turned into a caramel sauce that was then baked into the pie. I haven't tried Johnna's apple pie, but mine was pretty damn amazing too (if I do say so myself). Oh, it's also worth noting that the brand of whiskey is PIEHOLE, which fits perfectly seeing as that's exactly what you want Violet to shut (her piehole) throughout the majority of the movie. 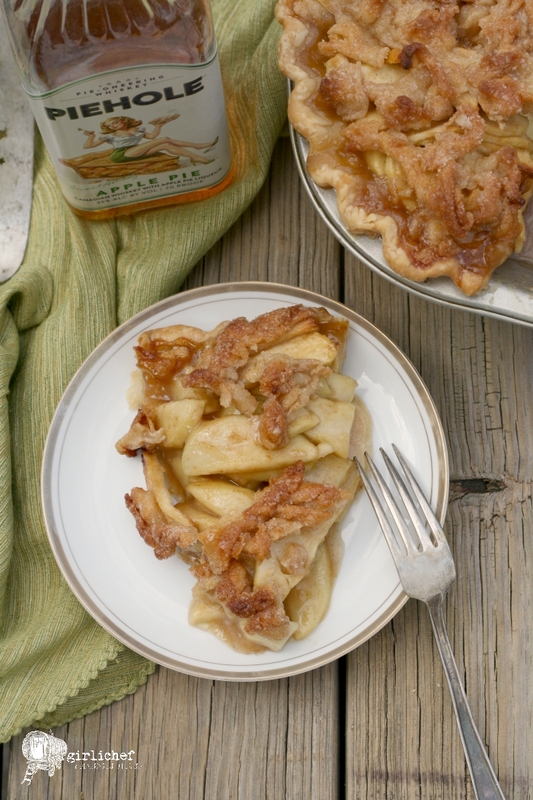 Tender apples are infused with whiskey caramel sauce and piled high under a sugar and spice crust in this delicious apple pie recipe. Roll out half of your pie crust into an 11-inch circle. Set in a 9-inch pie plate. Crimp the edges as you wish, then use a fork to poke holes all over the bottom of the crust. Refrigerate until ready to use, at least 30 minutes. Combine whiskey and 1/2 cup sugar in a small saucepan and bring to a boil. Reduce heat to a steady simmer and allow to reduce by about 2/3—this will take about 20-25 minutes; remove from heat and stir in butter. 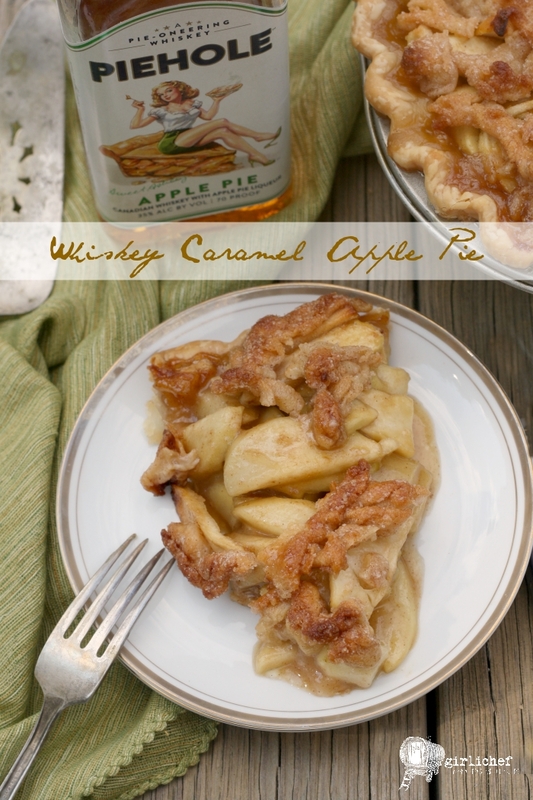 You should have about 3/4 cup of apple whiskey caramel sauce. 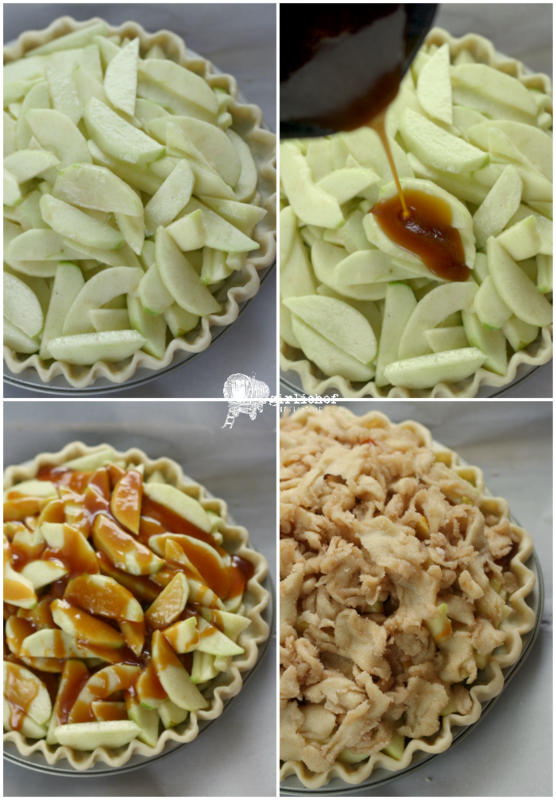 While the whiskey is turning into caramel, peel, core, and cut the apples into 1/4-inch slices, then place slices in a large bowl with the lemon juice, tossing as you add the apples. Add remaining 1/2 cup sugar, flour, cinnamon, nutmeg, and salt; toss to combine. Let sit 10 minutes. 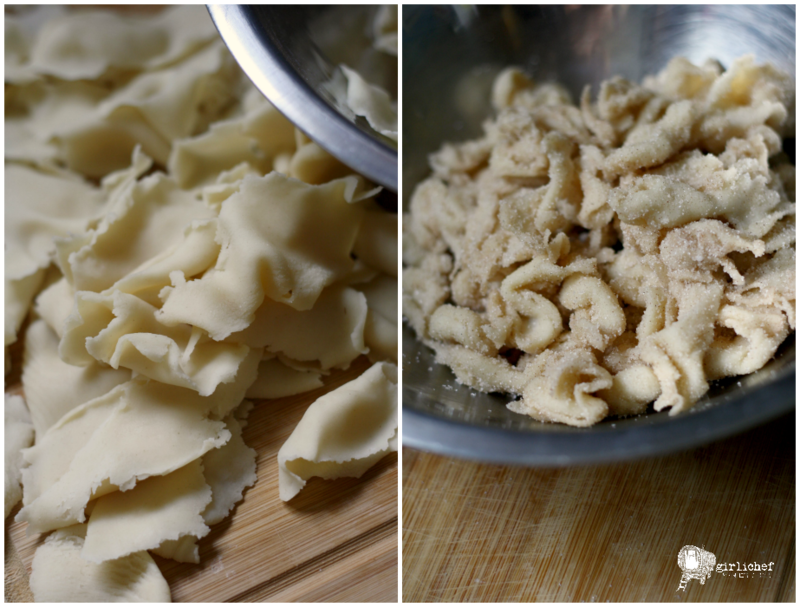 Roll out the remaining pie crust to 1/4-inch thickness—it does not need to be circular. Rip it into uneven rags. Combine sugar, cinnamon, and nutmeg for top crust, then toss the rags in it to coat. Cover and refrigerate until ready to use. 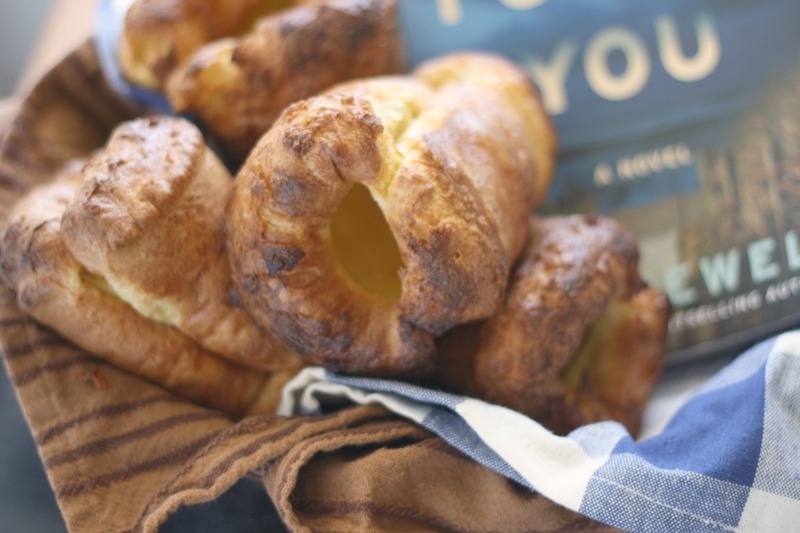 Preheat oven to 375° F. Line a baking sheet with parchment paper or foil. Remove pie crust from the fridge and set on lined baking sheet; pour in apple mixture, being sure to scrape in all of the juices. Drizzle warm apple whiskey caramel sauce over the apples. Slide pie into oven and bake for 50-60 minutes, or until crust is golden and juices are bubbling up at the edges. 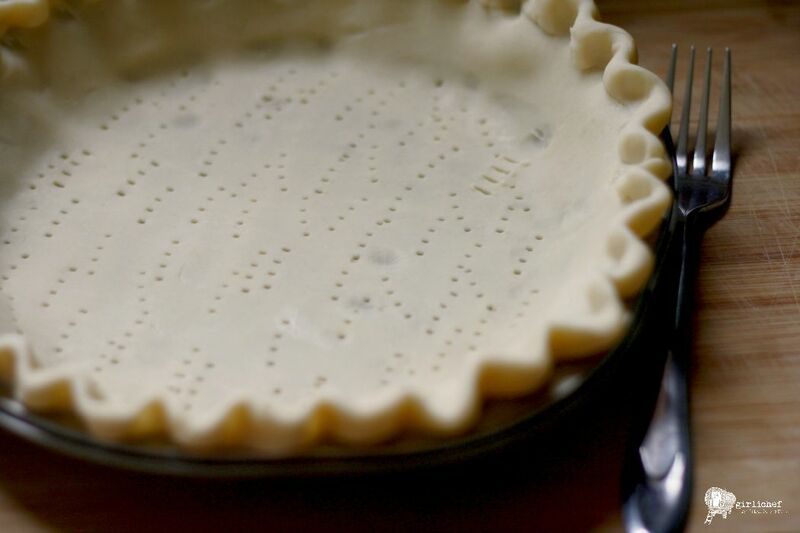 If the crust seems to be getting too dark while baking, use a pie crust shield around the edges, or cover with foil. 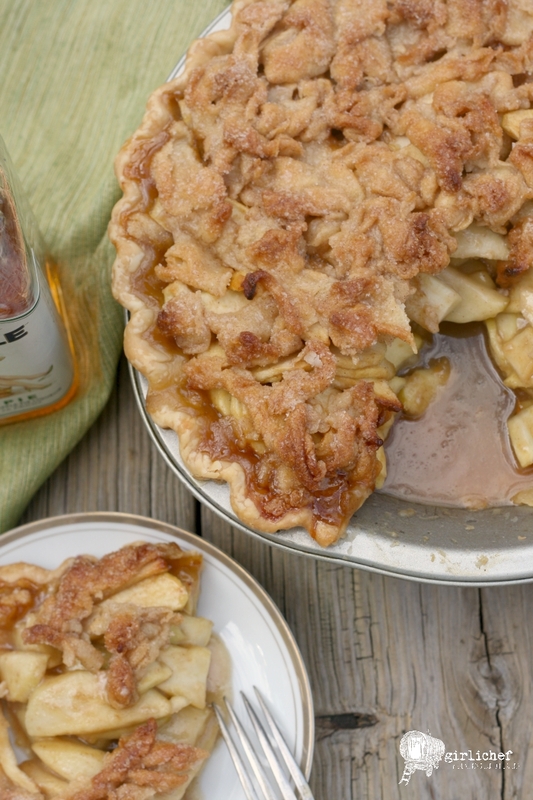 Store cooled pie in the fridge or on the countertop (if it's not too hot in the room) for up to 2 days. Reheat a slice in the microwave before serving, if you like - and then serve it with a scoop of vanilla ice cream. This pie is fine for all ages. 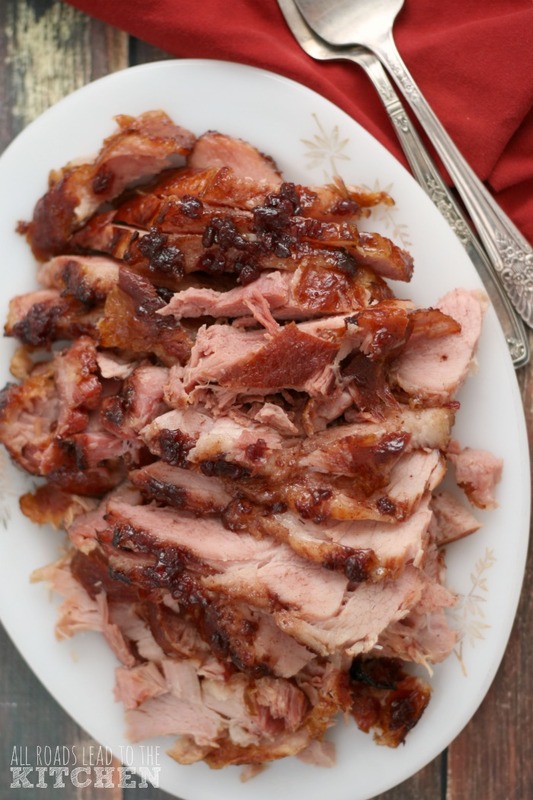 The alcohol in the whiskey evaporates as it cooks down into the caramel sauce. 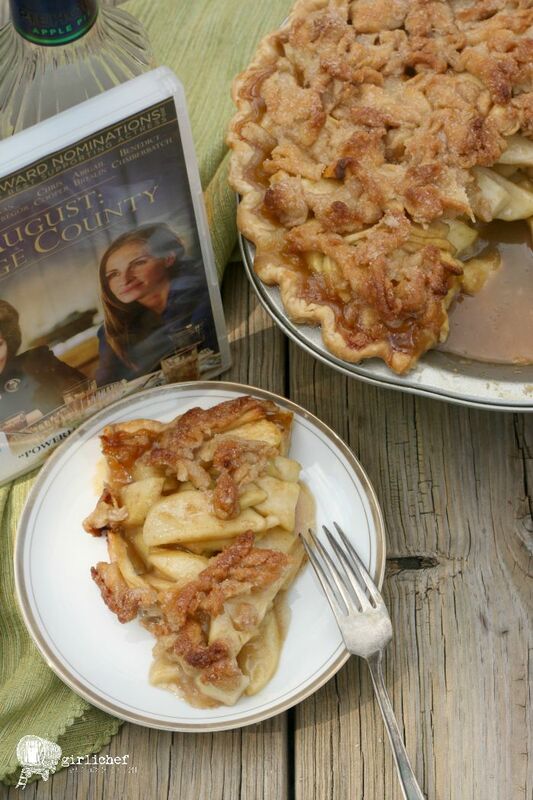 This month's round of Food 'n Flix is being hosted by Debra at Eliot's Eats with her pick, August: Osage County. If you'd like to join us, there's still time; submissions are due by August 27. For more information, check out Debra's announcement post! Have you always wanted to join in the Food 'n Flix fun, but just never found the right time/month/movie? Well, next month is the perfect time to jump in because we are celebrating 5 Years of Food 'n Flix! 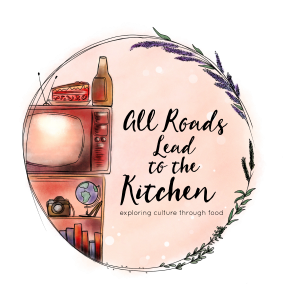 I will be hosting right here on allroadsleadtothe.kitchen, but what's really fun is that if you want to participate, you can choose ANY of the movies that we've watched over the past five years as your flick of the month—that's 60 movies to choose from! 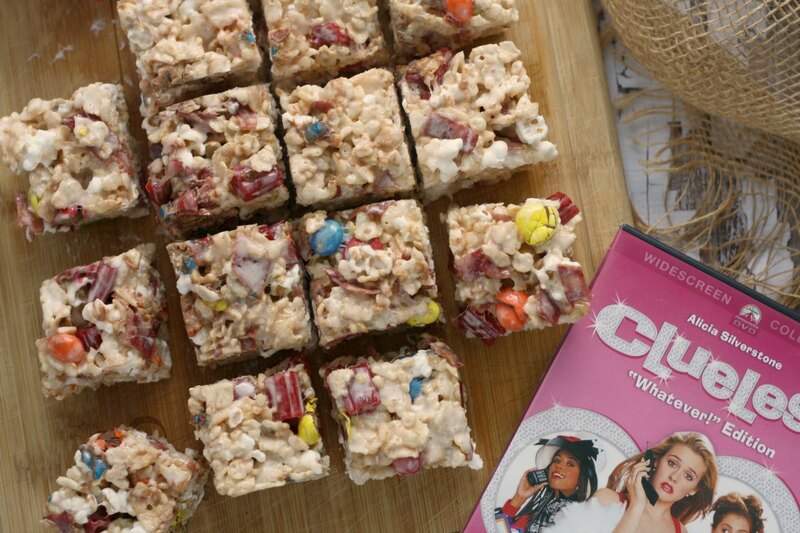 You can learn more about that when I officially announce the challenge on September 1st, but until then, you can drop by the Food 'n Flix site for inspiration.